Breanna Britto (East Bay Community Action Program) is from Providence, Rhode Island. She graduated from Bryant University in May of 2013 with a degree in Business Administration and dual concentration in Business Management and Sociology. She chose to join AmeriCorps to make a difference in her own communities. Her AmeriCorps position at EBCAP is helping people with basic needs through the Safety Net office. She plans to attend graduate school and get an MBA before getting a masters in Sociology. Nadia Abraibesh (Institute for the Study and Practice of Nonviolence) was born and raised in Portland, Oregon. She completed her undergrad at Linfield College in 2010 in Psychology and Spanish. After graduating college she moved to Libya (where her family is from) and was living there during the 2011 revolution. After witnessing the brutal government violence, she became interested in nonviolence work. She joined Teach For America in 2011 and taught third grade for 2 years on the Navajo reservation where she simultaneously earned her Master’s in Elementary Education from the University of New Mexico. Her classroom had a big focus on peace education and this, coupled with her experience in Libya, led her to apply to nonviolence-oriented AmeriCorps programs. This is what led her to accepting the AmeriCorps position at the Institute for the Study and Practice of Nonviolence. 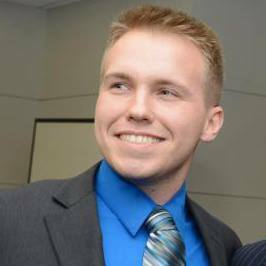 Stan Brajer (AmeriCorps VISTA Leader @ AS220) was born in Morristown, New Jersey. He attended the University of Rhode Island with a major in International Business and a minor in Spanish. He then went on to graduate school at Monmouth University in New Jersey where he received his MSW (Master’s of Social Work) with a concentration in International and Community Development. He enjoys surfing, snowboarding, body boarding, soccer, going to concerts, nature and much more. He’s passionate about community development and organizing. He also hopes to continue his career on the path toward building communities and fighting poverty and injustice. Danielle DePalma (VISTA at Inspiring Minds) moved to Rhode Island to go to college after finishing high school. She graduated from the Rhode Island School of Design in 2012 with a BFA in Printmaking. While she was in school, she formulated several community-based projects in the Providence area that integrated the arts in some way or another. Her favorite project was with a local organization called OpenDoors, where she worked with the previously incarcerated to create their own branding and silkscreen t-shirts. From these projects, she wanted to explore the non-profit world some more. As a VISTA at Inspiring Minds, she works on a plethora of multimedia related projects that she hopes will continue to grow and strengthen exposure to the great work Inspiring Minds does in the community! Karina Evora (College Advising Corps), was born and bred in Rhode Island and is in her second year with the Brown University chapter of the National College Advising Corps. She was born and raised in the city of Pawtucket, just outside of the state capital of Providence. She graduated from Shea High School in 2008, where she now serves as the College Guide. After attending Bryant University, in Smithfield, RI for two years, she decided to transfer to the University of Miami in Coral Gables, FL to step out of her comfort zone and experience what she hoped would be a memorable college experience. Even though she graduated in 2012 with a degree in Economics, she built a strong desire to work in the realm of education after several related experiences throughout her college career. Throughout this final year with the Corps, Karina hopes to gain more knowledge of the political aspect of the education field, which she hopes to use during her stay at either Vanderbilt University or the University of Virginia, where she will pursue her Masters in Higher Education and Student Affairs in 2014. Magali García-Pletsch (Serve Rhode Island VISTA) grew up in the border town of Laredo, TX, but always had a dream of moving to New England. Her dream came true in the fall of 2008 when her family relocated to Norwood, MA, and the following fall, Magali moved to Rhode Island to attend Providence College. In May 2013 she graduated from PC with a BA in Global Studies and minors in Public & Community Service Studies and Latin American Studies. She began her VISTA year in June, serving as the Volunteer Program Coordinator at Roger Williams Middle School through Serve Rhode Island. When not serving, Magali spends her time co-teaching Global Studies courses at PC, going to Trivia Tuesdays with friends, catching up on TV shows with her roommates and mom, and exploring the State she has come to love. Brandi Jackson (Rhode Island Campus Compact VISTA Leader) is a Rhode Island native. She has lived in RI her whole life, with the exception of two brief moments. She moved to Florida in her early teens for two years, where she met her best friend of ten years. When she came back to Rhode Island, she put all of her energy into preparing for college. She attended Rhode Island College where she majored in Communications and found her love for volunteering and traveling. She immersed herself in school activities, including becoming president of a community service organization on campus. She explored her love of traveling when she took a job in the Student Activities office as a trip coordinator where she planned affordable trips for college students. Her love of traveling continued to grow so much that she embarked on her own adventures across the Atlantic Ocean to Italy. She found her love for Italian food, immersed herself into the culture, and made lifelong friends. When she came back to the States, she decided to follow in her mother’s footsteps and join AmeriCorps VISTA at Inspiring Minds where she learned a lot about the organization as well as a lot about herself. When her VISTA year was over, she was sad but knew she had to push forward. Her plan was to find a job outside of AmeriCorps, but a VISTA Leader position caught her eye, so she decided to dedicate another year as a VISTA Leader at Rhode Island Campus Compact. When she is not leading VISTAs into a bright future, you can find her head stuck in a book or playing a zombie video game. 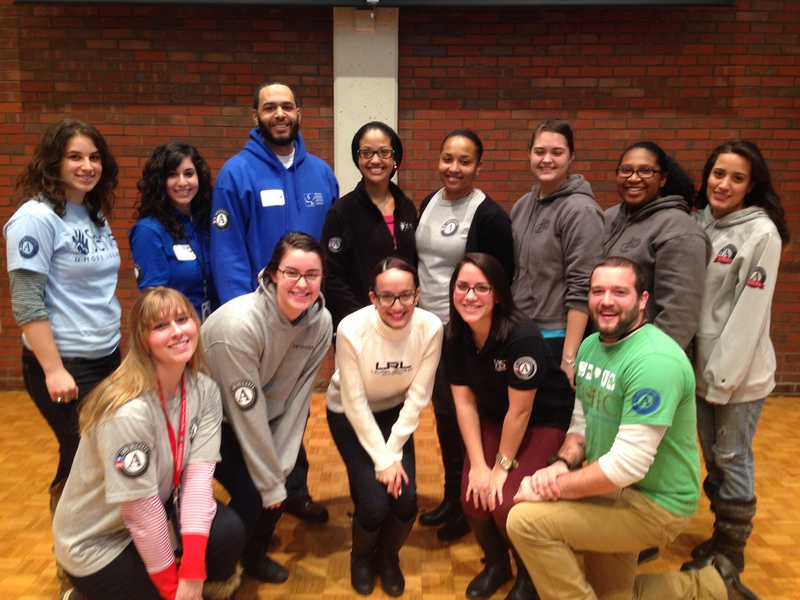 Leidy James (Tri-Town Community Action) is currently an AmeriCorps member serving at Tri-Town Community Action Center. Leidy works in the LIHEAP department completing utility applications and then referring clients to a budget workshop. Tri-Town’s objective is to increase the financial education of low and moderate income individuals identified as lacking basic financial skills. Skills to be increased include accessing banking services and preparing and maintaining a household budget that includes a savings plan. Additional responsibilities include outreach, assessment and referral of clients, and may include facilitation of Budget Basics workshops. Leidy is also currently a student at CCRI studying Elementary Education. She will be transferring to RIC in the Fall of 2014. Leidy has always had a passion for helping others and finally found her passion through AmeriCorps. Lauren Lancaster (Ready to Learn Providence) is from New Carlisle, Ohio. She attended Miami University of Ohio and graduated in 2011 with her B.A in English Literature and American Studies. She then went on to complete a M.A. in Cultural Studies at Carnegie Mellon University in 2012. After completing her Master’s, she realized that she had not yet fulfilled a life goal of spending an intense period of time giving back to the community. However, her community changed quickly when she and her fiancé moved to Providence. Now serving at Ready to Learn Providence, and placed at the Providence Public Library for a second year, Lauren has come to love Providence as a home away from home. She is now teaching ESL and literacy courses and loves the chance to engage with the community in this new and exciting way. When not at work, she, and her now husband, can be seen frequenting the farmer’s market or Thayer Street and take every chance they can to go to beach. However, most often Lauren is home with her husband and adorable cat, Mr. Fitz, cooking way too much food for two people. Christy McDonald (East Bay Community Action Program) was born just outside of Philadelphia, PA. She graduated from University of Pittsburgh with a degree in Studio Arts in 2012. After graduating she joined Americorps NCCC and was stationed in Denver, CO as a corps member. While in NCCC she traveled to Missouri to work on a nature reserve, Denver to prepare tax returns for low income families, Colorado Spring to assist in preventing flooding in the burn scar in the mountains, and Texas to help rebuild after a local fire. This experience inspired her to become an Americorps State/National member to continue working with non-profits and helping the members of her communities. Natasha Rodriguez (College Advising Corps) was born and raised in Providence, Rhode Island. She graduated in May of 2013 from Providence College. During her second year of college, Natasha went to Dominican Republic to teach English in a school where the community needed a lot of help. That was an amazing experience that brought her closer to service. She believes it is always best to go back to one’s own community to help make it a better place, and that’s what she plans to do! Because Natasha was raised in Providence, she experienced firsthand the poor access to information in the public high schools regarding the college application and financial aid processes. Natasha is placed for her first year as a College Guide at Woonsocket High School in Woonsocket, RI, and is thrilled to make a change in the community. As Winston Churchill once said, “We make a living by what we get, but we make a life by what we give.” She knows that she will not solve the greater issues with college access, but she will be helping reduce the problem, one student at a time, by getting them into college or helping them figure out their future endeavors. Sarah Schnurr (Providence Children’s Museum) is from Newton, NJ. She attended Kutztown University where she graduated with a degree in art education and crafts. It’s her second year as a MuseumCorps educator at the Providence Children’s Museum, where she facilitates hands-on learning opportunities for visitors and for children enrolled in the Museum Club program at the SouthSide Boys & Girls Club. She enjoys reading, knitting, and writing in her free time, and hopes to continue to explore the world of informal education after her AmeriCorps year of service. Michael Steiner (Rhode Island Vet Corps) is from Scituate, Rhode Island. After graduating from Scituate High School, Michael enlisted in the U.S. Navy and served six years on active duty, serving aboard USS Nimitz as a RADAR technician. Upon completing his military service, Michael returned home and enrolled at Community College of Rhode Island to study electrical engineering. He served two years as an AmeriCorps Scholarships for Service Student Civic Fellow, and is now serving in the RI Vet Corps inaugural program year. When he is not advocating for veterans at the college campus or at the Warwick Veterans Services Organization, he enjoys hanging out with his fellow veterans, and exploring Providence. Meagan Amylon (Learning Community Charter School) is a Rhode Island native currently serving her second AmeriCorps year here in her home state. A previous MuseumCorps member, Meagan graduated from Roger Williams University in 2011 with a degree in elementary education and history. Althought involved in service throughout much of her life, Meagan attributes her passion of serving to her Alternative Spring Break trips in college, where she visited Clarksdale, Mississippi and Valdosta, Georgia to work with Habitat for Humanity. As part of her work as an Education Fellow at Learning Community Charter School, Meagan supports academic learning during and after the school day. She teaches many small classes to students who are struggling with reading and spelling. She also teaches two English Language Development classes, and facilitates recess, breakfast, lunch, and dismissal daily. She hopes that this second year of AmeriCorps will leave her feeling a sense of closeness to the Central Falls community, as well as help her decide on a career path for the future. Noricia (Nori) Aquino (East Bay Community Action Program) comes to the RI AmeriCorps team from Sacramento, CA, but she is no stranger to the Ocean State. She graduated from Brown University in 2012 with an AB in Sociology and American Studies. While at Brown, Nori worked as a summer organizer with Ocean State Action, an experience which helped her get more intimately familiar with all things Rhode Island. Currently, she works with the East Providence Youth Center, helping youth ages 14-24 with homework tutoring, GED prep, resume writing, job applications, and referrals to other social services. After her service year, Nori plans to apply to law schools and ultimately practice law in public interest and social justice. Alex Balsen (Providence Children’s Museum) is from Malden Bridge New York. He was Born August 3rd 1986. He Received A BFA in Painting from the Rhode Island School of Design in 2010. During the two years after school he worked for the United States Forest Service in Oregon and California as a wildland fire fighter. In the summer of 2012 he relocated to Providence Rhode Island and began working on the Providence Children’s Museum Americorps team. He is honored to work on a teaching team devoted to play, education, and children. Nellie Cuddy (Charter Corps- Highlander Charter School) Nellie Cuddy is from Kennebunkport, Maine. She attended Ithaca College and graduated in 2010 with a BA in Sport Studies. After graduating college, Nellie moved to Providence to be a part of City Year. During this year of service she worked at Esek Hopkins middle school in a sixth grade English class as well as an eighth grade science class. Through City Year she has found her passion for working with youth inside and outside of the classroom. This lead to her working with Charter Corps, another AmeriCorps program. She spent the past year working at Highlander Charter School in a sixth grade classroom. She is back again for another year at Highlander, this time working with seventh and eighth graders in language arts. Her interests include writing poetry, singing, cooking, and sports. Carla Curle (Ocean State Environmental Education Collaborative) is from Santa Rosa, CA and moved to Rhode Island at the beginning of the service year. She graduated from the University of California, Santa Barbara in 2012 with a B.S. in Environmental Studies with an emphasis in Ecology. She developed a passion for environmental education during college when she worked with the non-profit organization, Sprout Up. This year, she is working at Save The Bay as an environmental educator at the Providence Bay Center and out in the field. When Carla’s not teaching students about the natural wonders of Rhode Island, you can find her rock climbing, cooking, hiking, or reading. Ryan Dwyer (VISTA at the Rhode Island Urban Debate League) Ryan is originally from Woonsocket, Rhode Island and graduated from Woonsocket Public Schools. He then went on to CCRI, URI, eventually earning his associate’s and bachelor’s degrees from NEIT in Video Audio Production and Digital Recording Arts Technology. Ryan writes, “I am a VISTA because I wanted to serve with the Rhode Island Urban Debate League, an organization that, while in high school, empowered me to speak up and encouraged me to succeed. I also believe that working as a VISTA allows me to do work centered in spreading positive opportunities, and building community.” After VISTA, Ryan plans to continue his journey of learning, teaching, being joyful, looking at clouds, smelling flowers, and dancing to the music that is life! He loves speaking in silly voices and making animations. One day, he fully intends to set aside some time to make his own cartoon universe. Lorena Garcia (Institute for the Study & Practice of Nonviolence) was born in El Paso, Texas. She left the Lone Star State to attend Brown University. She pushed through and graduated with a B.A. in Ethnic Studies in May 2012. Having always had a strong interest in medicine, Lorena will be attending Alpert Medical School after her Corps years. Her experiences with gangs and violence motivated her to defer medical school in order to be an AmeriCorps member at the Institute where she works to reduce violence in the community and in the lives of the youth she works with. Currently, she primarily works at Central Falls High School running the Alternative Suspension program and teaching 3 Nonviolence ELOs, as well as doing arts programs at Washington Park Library with elementary children. In her free time, she loves reading books in coffee shops (there’s lots of hot CHAI!!! ), playing rugby, and taking care of her pets Whiskey (hedgehog) and Paco (axolotl). Leah Glass (Serve Rhode Island VISTA) is originally from Troy, NY, but moved to Rhode Island to attend Providence College where she earned a BA in Global Studies and minors in Black Studies and Spanish. After graduating, she taught English to university students in Burdur, Turkey. After several months, she felt Rhode Island calling her back and in May 2012 she began her year of service as the Volunteer Program Coordinator at Roger Williams Middle School through Serve Rhode Island. When she concludes her year of service, Leah plans on attending graduate school to study Sociology. When not serving, Leah spends her time co-teaching at PC, reading, doing crafts and trying to stay sane. I am Tenial Howard, a native Rhode Islander serving with the East Bay Community Action Program (EBCAP). I graduated from RIC in 2009 with a Bachelor’s degree in Communications and am concurrently working on a Master of Science in Management with a focus in Non-profit Leadership and Marketing and a Master of Arts in Professional Writing. My ultimate goal is to earn a Ph.D. in Social Policy. I am currently working with the East Bay Coalition for the Homeless, which is a homeless prevention program. I also spend some time with the EBCAP Safety Net program, which provides assistance with applications for SNAP, state medical insurance, and utility assistance, among others. Additionally, I serve as coverage for EBCAP’s receptionist whenever the need arises. When not busy with AmeriCorps, EBCAP or schoolwork, I enjoy reading, studying conflict resolution and teaching myself new things. Still, there is nothing better than discovering new, interesting, and unusual teas to try. is from Cape Cod and is in her second year at City Year Rhode Island. She graduated from Ursinus College in Pennsylvania in 2011 with a BA in History and Spanish. During 2011-2012, Calla served as a corps member at Gilbert Stuart Middle School, providing academic support in one 6th grade and one 8th grade English classroom, coaching a group of 6th grade girls with their behavior, improving student attendance through weekly check ins, and leading students in fun before and after school activities. This year, Calla is serving as Civic Engagement Project Leader, and is working to integrate the corps into the community and the school through physical service and engagement events. Recently, Calla has been exploring a new found love of crafting in her spare time. Victoria Rey (Providence ¡CityArts! EDTAP) is a native of Atlan ta, GA and a second year corps member with Providence ¡CityArts! for Youth’s Expanded Day Teaching Artist Project (EDTAP). Victoria serves at Roger Williams Middle School where she is the Music Arts Integration Specialist for the school. Before her time with AmeriCorps, Victoria spent time doing post-Katrina relief work in D’Iberville, Mississippi. Victoria has a degree in Music Composition from Georgia State University and has played the flute for the fifteen years. When not running PASA programs, rallying enthusiasm in her flute students, or teaching arts integration lessons, Victoria enjoys writing letters, eating nachos, and exploring the world. Donnie Taveras (College Advising Corps at Brown University) was born in Providence, Rhode Island. He attended Central High School where he was involved in soccer, track and theater. Upon graduating high school he went on to enroll at Rhode Island College where he studied Communication with a concentration on Public Relations. While at RIC, he spent much of his time working for the Student Activities office, where he later was promoted to student supervisor. When he was a senior he dedicated his time to his studies, his job as the Student Activities Student Supervisor, personal fitness as well as gaining experience and a scholarship by working with the AmeriCorps program Scholarships for Service. His membership with this program opened doors to different organizations such as Mixed Magic Theater, Inspiring Minds and Habitat for Humanity. It even led him to an alternative spring break where he spent a week repairing homes for victims of Hurricane Katrina in Mississippi. It was through these experiences that his love grew for non-profits, social justice and education. Currently he is a full time employee for the National College Advising Corps at Brown University. After NCAC, Taveras hopes to obtain a masters degree in Student Affairs and with luck pursue a career where he will engage students in philanthropic endeavors. Jill Willette (Charter Corps- Highlander Charter School) Jill Willette is returning for her second year of Charter Corps and is working in a 4th grade classroom at Highlander Charter School. She is originally from North Carolina, and graduated in 2010 from the University of North Carolina at Chapel Hill with a degree in English Literature and Philosophy. Jill has been living in Rhode Island since October 2011, and aspires to return to school after this year to get a degree in Education. Her interests include writing, reading, watching movies, spending time with her partner, and her adorable pets, Catniss Everdeen and Daisy Buchanan.